that allows you to involve everyone in both the cooking and the eating. This new style of dining is the future of hospitality and we’ve incorporated the latest technological advances in foodservice to help you achieve just this objective. 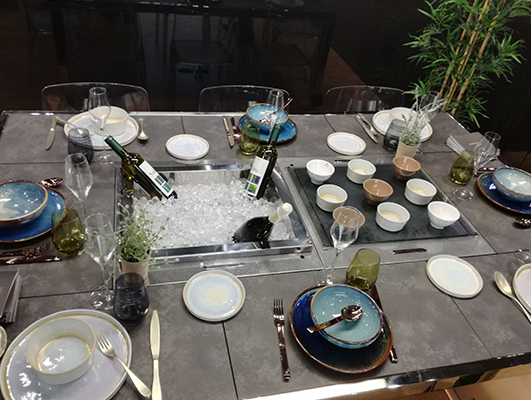 Our one-of-a-kind Dining Tables maintain food’s temperature so that you can sit around for hours, enjoying wine and chating with your guests- without ever worrying about food getting too cold or too hot and soggy. Guests to your home often remark on how beautifully it’s furnished and decorated. We propose a dining solution that can be entirely customized with the highest quality materials to blend seamlessly with your own interior décor: you choose the colors and finishes that will work with your existing style, adding a unique statement piece of furniture to your dining space and will garner even more compliments! 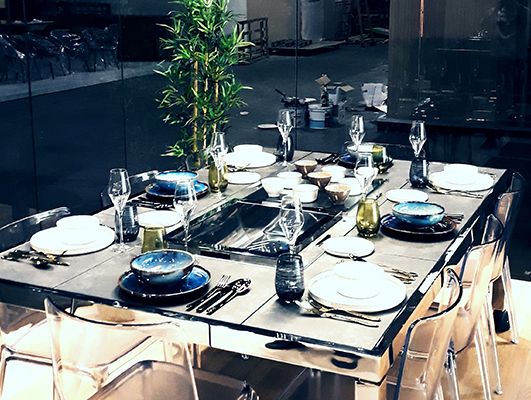 Are you interested in The Dining Tables collection?